4 DIY miniature garden accessories to try! Succulent miniature gardens are not just for the little ones, us big kids get a kick out of creating and admiring miniature landscapes too. 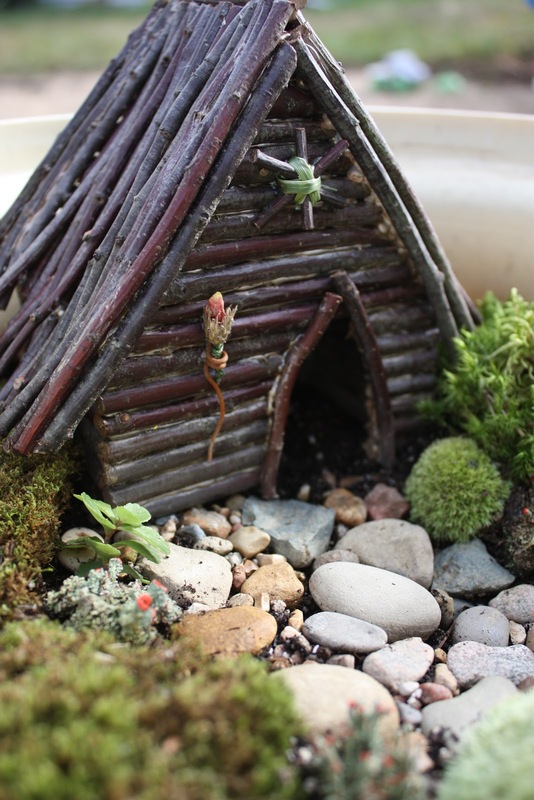 And why not, when in these times limited space in the backyard and limited budgets prevent us from making life size landscape gardens, these miniature creations are a great way to get those creative juices flowing and to get those green thumbs to work! 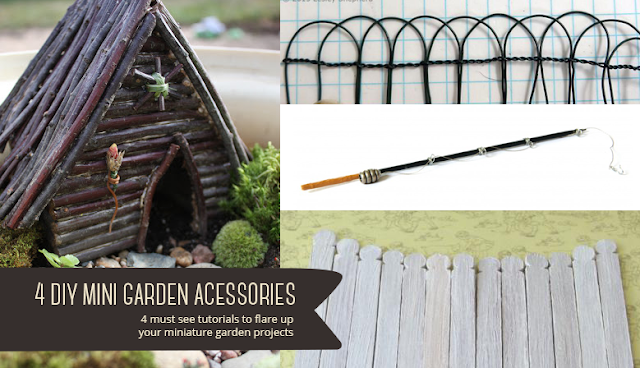 Lesley Shepard on about.com shows you step by step how you can create a mini fence with just wire and a pair of pliers. So simple, and yet so effective. I like how this fence doesn't have to be in a straight line, it can be curved around to match your miniature garden edging. This could work well around a lawn made from Sedum lydium. Pure magic! If you prefer something a touch larger and more solid, then Lesley Shepard also has a tutorial on how to make a petite picket fence or gate using Popsicle sticks. I honestly thought cutting the top shape out of a pop stick would be too tricky, but Lesley is one clever lass and instead uses a small file to make an indent either side of the stick. Clever. A coat or two of paint and you have yourself a miniature white picket fence! You could pair this up with mini shrub type succulents, like A. 'Irish Bouquet' or Sempervivum 'Hen and Chicks' . 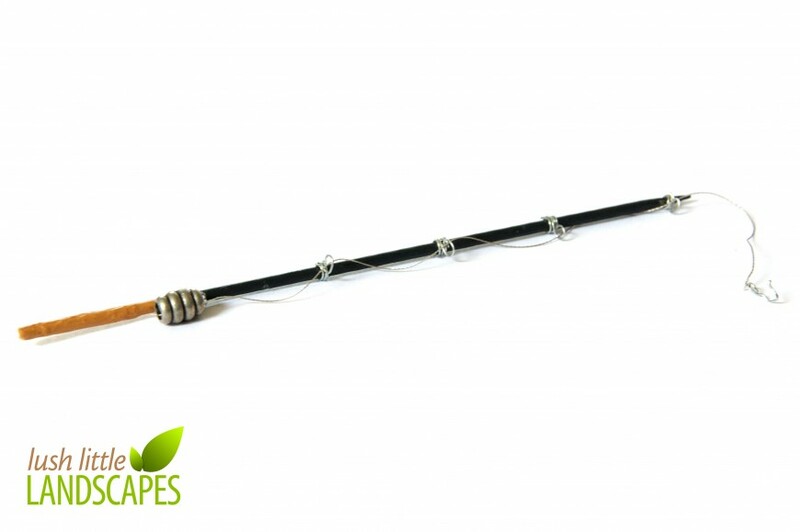 This was too cute to pass by, and although the idea of a seaside/swamp miniature garden hadn't really crossed my mind just yet, this mini fishing rod is surprisingly simple to make. Lush Little Landscapes provides step by step instructions on how you can make you own using a skewer, fishing line, wire and some small buttons for the reel. Maybe a jetty made out of pop sticks to accompany it? And for a swamp like succulents, Bergeranthus multiceps would make a great clump of reeds. And for something a little more challenging, why not make this house which comes complete with a door, a window and a very cute sconce on the front. thejuise.blogspot.com.au gives step by step instructions on how you can make your own house with just sticks and a hot glue gun. This house was made from Cherry tree branches, but I think eucalyptus sticks will give it that touch of 'Australiana'. A tree next to it, like a Crassula tetragona perhaps? So we hope these great ideas inspire you to create your own succulent miniature gardens, and help with the choosing of your miniature garden plants. Happy projecting!